Thank you for visiting my website! I am an Assistant Professor of English and the Writing Center Director at Central Connecticut State University. I received my PhD in Rhetoric, Composition, and the Teaching of English at the University of Arizona, by way of a Midwest farm and education, with a four-year stopover in the Middle East. I earned a B.A. in English from Millikin University, an M.A. in English from Iowa State University, and an M.F.A. with an emphasis in creative nonfiction from the University of Minnesota. For four years, I taught at the American University in Cairo (AUC), Egypt, where I had the opportunity to collaborate in the emergence of the first department of rhetoric and composition in the Middle East. Through working to develop a rhetoric and writing minor, chairing the departmental grants committee, and teaching a variety of first-year and upper-division courses, I began to understand the potentialities for the study of rhetoric and composition and decided to pursue a PhD. In Arizona, I was fortunate to meet Adela C. Licona and Stephen T. Russell, who invited me to become a Crossroads Scholar in an action-oriented research collective supported by the Ford Foundation called The Crossroads Collaborative, which works with local youth and youth-serving organizations to support youth rights and access to knowledge(s) about their sexuality, health, and rights. Through this research collective, I became involved with the Tucson Youth Poetry Slam (TYPS), a vibrant space where young people spit about personal, compelling issues to a committed crowd. Many of these poets performed about what it means to be a young person in the context of regressive legislation in Arizona, such as SB 1070, HB 2281, and SB 1309, that directly affects access to certain types of knowledge(s) and rights. This work led me to my research interests, which involve questions about the collaborative nature of persuasive writing as well as how identification work plays a role in how students and others learn and practice writing. Through this work, I am developing a theory of identification called critical latticework. I extended this research through an Undergraduate Research Experience grant from Fort Hays State University, where I was an Assistant Professor of English for 3 years. Our research was called "The Listening Project: Discovering Rhetorical Strategies of Rural LGBTQIA+ College Students in Western Kansas." We interviewed queer-identifying college students from rural parts of Kansas to study the ways in which they develop rhetorical strategies for social interaction and identification in this context. Three undergraduate researchers from different disciplines participated in developing an interview protocol, recruiting interviewees, analyzing data, and co-writing our results. I am also a published writer across many genres. My scholarship has ben published in interdisciplinary journals, and my creative writing has been published in journals such as Indiana Review, which nominated me for a Pushcart Prize. I recently received Honorable Mention for So to Speak's annual nonfiction contest as well as third place in (b)oink's annual flash fiction contest. 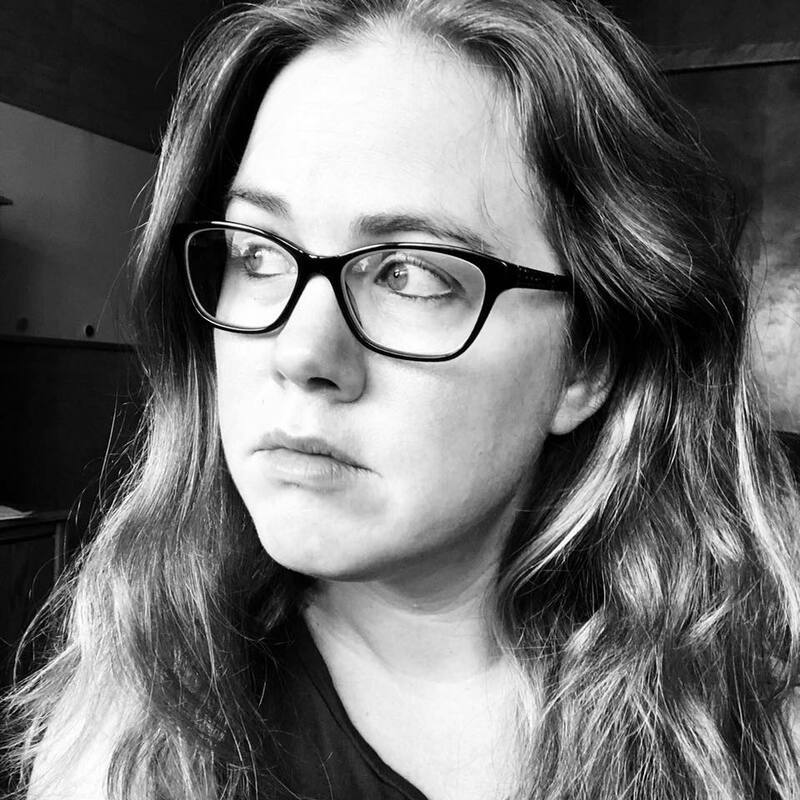 I have co-edited a collection of creative nonfiction essays with poet Rachel Moritz called My Caesarean: Twenty-One Mothers on the C-Section Experience and After​, which will be published by The Experiment Press in Spring 2019. The collection includes writers Judy Batalion, Tyrese Coleman, Nicole Cooley, Cameron Dezen Hammon, LaToya Jordan, Catherine Newman, Soojin Pate, Jacinda Townsend, and others, and we are excited to include an Afterword by Maggie Smith. My research, teaching, and writing interests contribute to my flexibility and attest to my interest in collaborating within and across my department home and university community, across disciplines, and within communities that identify in ways not always in keeping with academia. I invite you to peruse my site, which includes my curriculum vitae, a description of my book project, my teaching philosophy, student testimonials, and selected academic and creative publications. Please contact me if you have any questions.